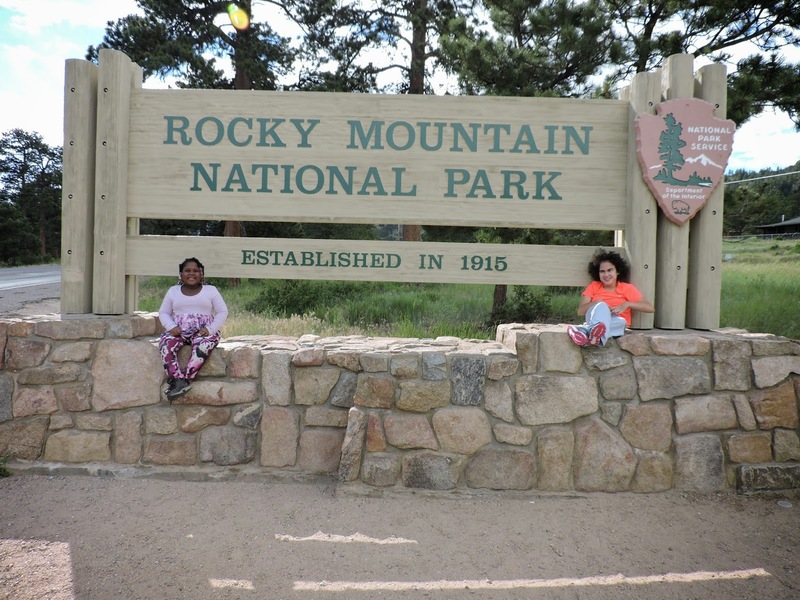 We were headed to Colorado for a long four day weekend with the plan to camp at the only accessible backcountry campsite in Rocky Mountain National Park for two nights. Kellisa and I camped in the backcountry several times over the years while Laurel had only car camped a few times prior to this trip. The accessible campsite along the Sprague Lake Trail was the perfect destination for my first attempt to take both girls alone into the backcountry. The campsite was only a half mile from the trailhead. This was important to me since I’d be carrying everything for three people at an elevation of 8,720ft., except for a small backpack worn by Laurel with our fleece and rain coats. You need a permit for this campsite and I attempted to secure one for the 4th of July weekend, but the site was already taken. I asked about the last weekend in June and it was available. Sadly, the backcountry ranger told me that it’s extremely rare for this site to be booked. The park has over 500 campsites and most are used every night during the summer season. I'm sure the main reason this campsite is rarely used is because the ranger specifically asked if a member of the permit party was disabled. Unlike buying tickets to a concert or sporting event, you had to prove a disability before booking the accessible campsite. I'm sure this campsite would be booked months in advance for every single night between Memorial Day and Labor Day if the park didn’t have the requirement that someone actually had to be disabled. We had an early morning nonstop flight to Denver that was uneventful, except having to wait for two family restrooms (one in Jax and one in Denver) that were occupied by single adults. I love the dirty look I always receive when say, "this is a family bathroom" while pointing to the family sign next to the bathroom door as they're leaving. Depending on how fast they're walking away from us, I usually ask, "what makes you so special to selfishly use the only bathroom available to my family"? To date, I've never been answered. This has happened dozens of times over the years and I just expect it now when the door is locked. Once in a while it's a parent with a child, but that's probably less than 10% of the time. I just hope by my actions and questions that they will think twice before occupying the family bathroom again in the future. Once we had our rental SUV, we made two quick stops. First, we went to a sporting goods store to buy stove fuel and matches. We also lost the seat belt for Kellisa’s travel wheelchair and I had to purchase nylon straps to make a quick, but temporary seat belt. Our second stop was for lunch which we ate in the car as we drove towards the national park to pick up our permit by 3pm. As we started driving west towards the towering snow capped mountains, Laurel asked with excitement, “is that where we’re going”? To which I answered, “yes” and she became giggly with excitement. Kellisa started yelling, "ME" and pointing out the window towards the mountains. Laurel announced, “I want to climb the highest mountain and camp on top”. This comment melted my heart. Rising nearly 10,000ft. from the great plains, Longs Peak, at 14, 259ft. was the highest mountain in our view. It’s also the highest summit in Rocky Mountain National Park. 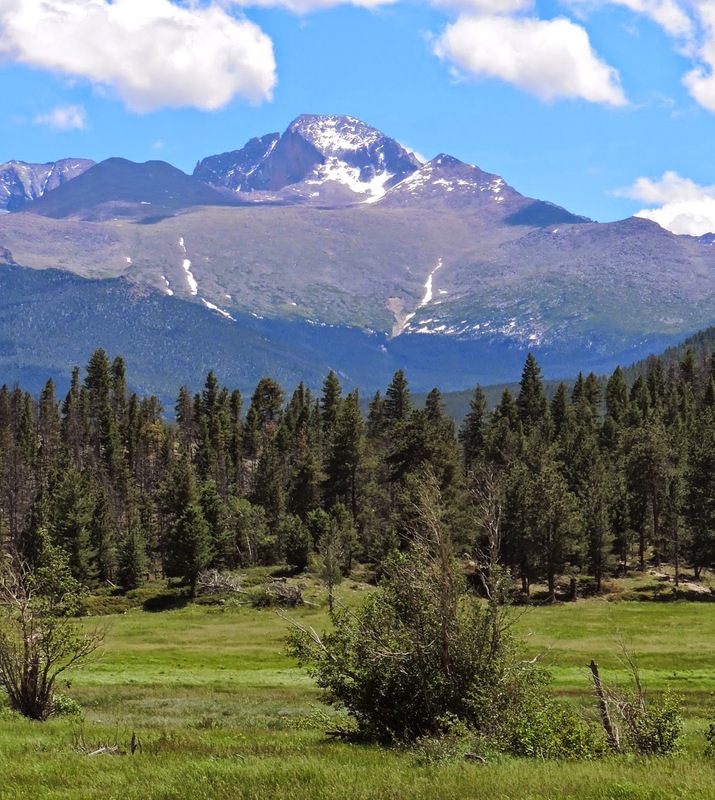 I told Laurel that I climbed to the top of Longs Peak with Uncle Jim and cousin Jennifer a long time ago. She wanted to hear all the details about the climb.